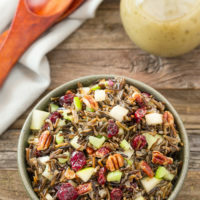 This Wild Rice Pear Pecan salad is loaded with juicy pears, crunchy pecans, sweet craisins and is melded together with a honey vinaigrette dressing. Today’s salad makes a perfect side dish for the fall or is great on its own to bring as a lunch. 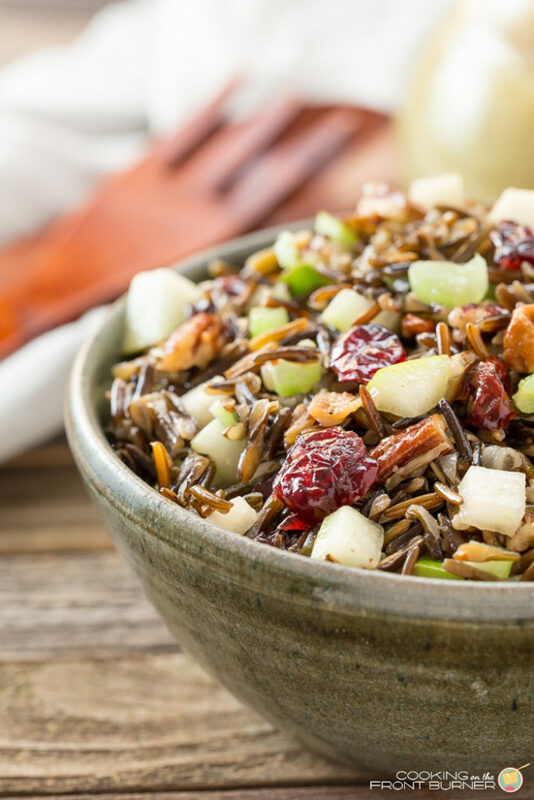 You’ll love the chewy texture of the wild rice and it is loaded with other goodies for your palate pleasure. Being originally from upstate New York, I never heard of wild rice until I moved to Minnesota where it is a staple in many soups, salads and hot dishes (known as casseroles in NY!). There is something about the texture that I really like. It’s not mushy, has a nice nutty flavor to it and technically it is a grass so feel free to graze on it all day! 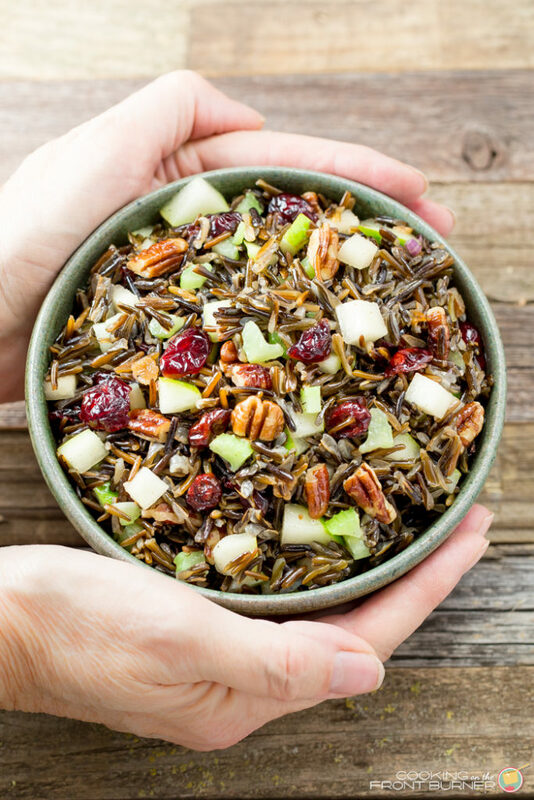 Other benefits of wild rice – since I’m sure your inquiring minds want to know – it is gluten free, no sodium, two times the protein as brown rice, rich in antioxidants, high fiber and is lower in calories that other rice. So there is your must knows about it! A few years ago we went to Duluth, Minnesota and stopped to eat lunch at Fitger’s Brewhouse where they are known for making a tasty Minnesota Wild Rice Burger. So of course this foodie person had to give it a try and it did not disappoint. So when I came home, I also knew I had to give it a try and see if I could duplicate it. Mine version came out pretty close. Even the DIY Guy liked it with NO meat. There were quite filling and we enjoyed ours with a tasty beverage. (side note: if you ever get a chance to go to Duluth and the North Shore, you will love it – the scenery is so pretty and fun places to hike). Now getting back to the salad, you know I always like to give some options. While my version has pears, pecans and red onion, you could also sub apples, walnuts and green onions. 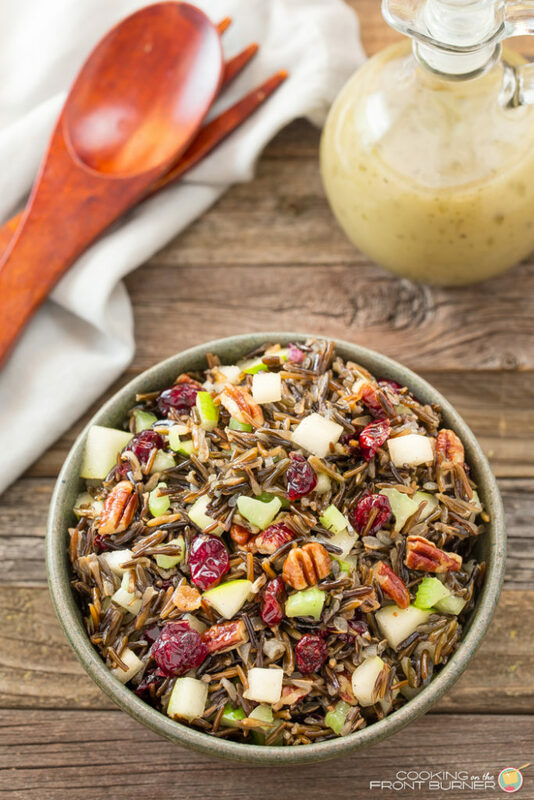 The wild rice is the star of the show and feel free to experiment with what you like! 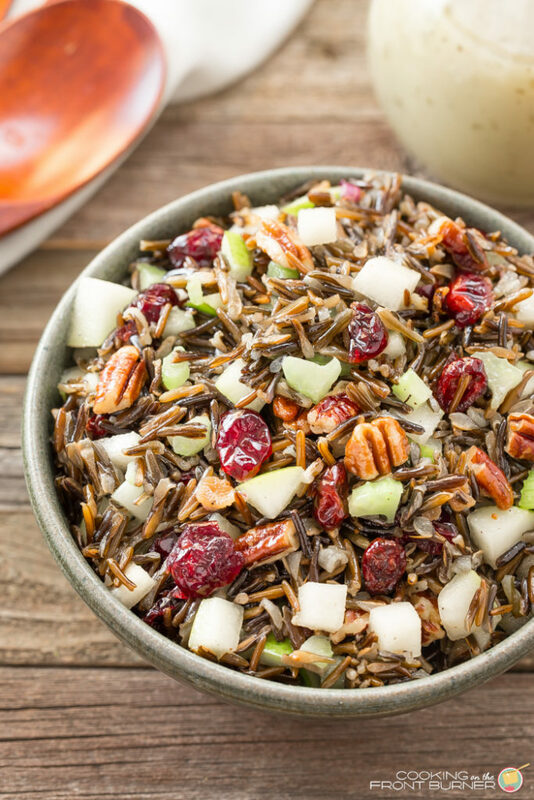 This Wild Rice salad is loaded with juicy pears, crunchy pecans, sweet craisins and is melded together with a honey vinaigrette dressing. Wow this made my mouth water looks so much nicer and authentic looking than Chinese takeout. I must try it out thanks for sharing the recipe. Just stuck this dish in the fridge – already tastes good!